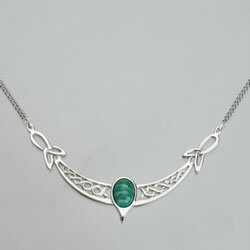 Celtic knotwork necklace, pewter. 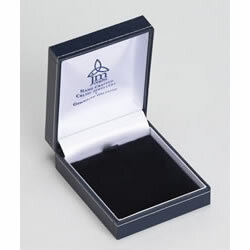 Supplied in a leatherette gift box (see sample image). Set with a 14 x 10mm semi-precious stone. 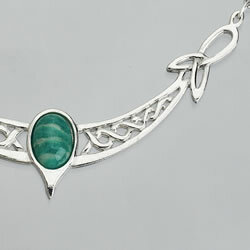 The stone shown here is Amazonite, & the item is also available set with a variety of other semi-precious stones. Dimensions (approx.) 10 x 5 cm (4 x 2") without chain. Chain length is 15½cm (6") either side. The chain is stainless steel. Sterling silver chain is available with a £8 supplement.